The Best Campaigns Money Can Buy? 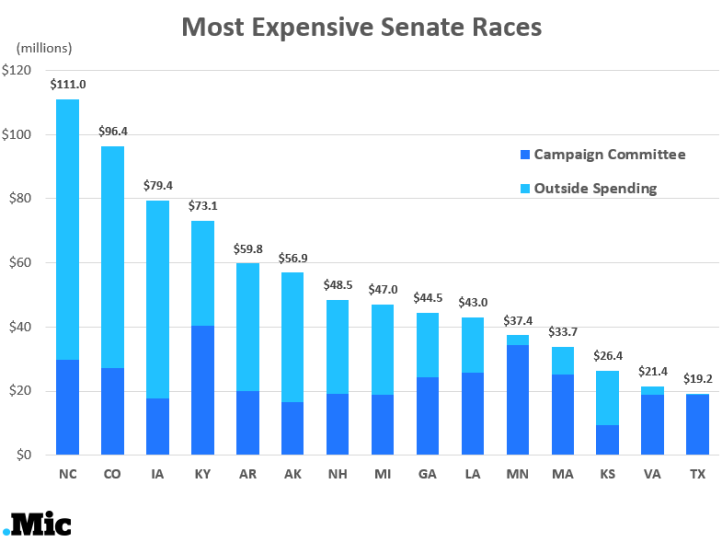 Graphic chart shows outside spending (beyond candidate’s campaign spending), by state. Link below shows outside spending by group. Can sort by Total Spend, and also click link to see WHO is behind each group. Can click headings to see Spending For Dem’s, Spending Against Dem’s, Spending For Repub’s, Spending Against Repub’s. American Democracy turned Spendocracy? The fallout afterglow of Citizens United? This entry was posted in Uncategorized and tagged 411US.info, campaign, Democracy, Democrat, election, money, Republican, Senate, specialinterests, spending, U.S.. Bookmark the permalink.